Today is world animal day, a day designated to coagulating world efforts towards improving animal welfare through awarness! Animal welfare, both captive and wild, is a continual issue as many of our fellow humans fail to recognise the fact that we share this planet with OTHER FORMS OF LIFE. 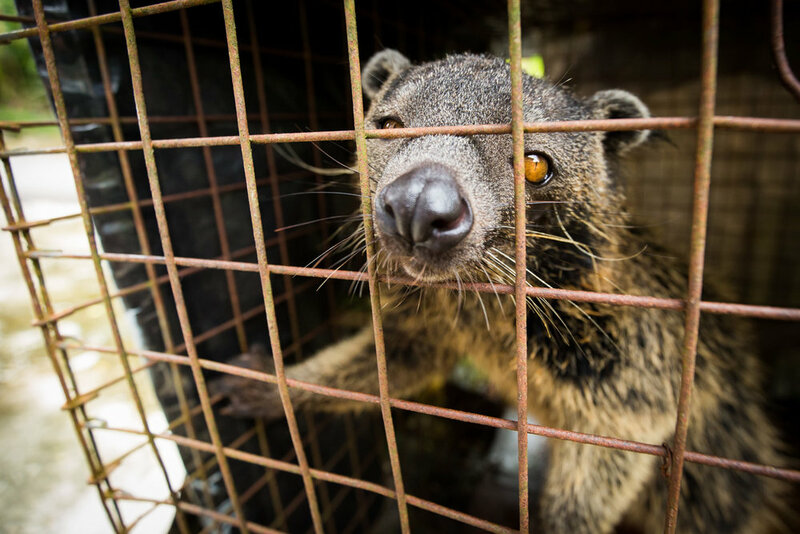 I found this bearcat caged in a small village on the border of Malaysia and Indonesia in Borneo. The villager bought him off some hunters a couple of years ago and has kept him as a pet ever since. If caught he would face fines far beyond his means, but the villager can not bring himself to part with him. For more information on what you can do to improve animal welfare, click on the link below.